Mewa Paag with a Twist! 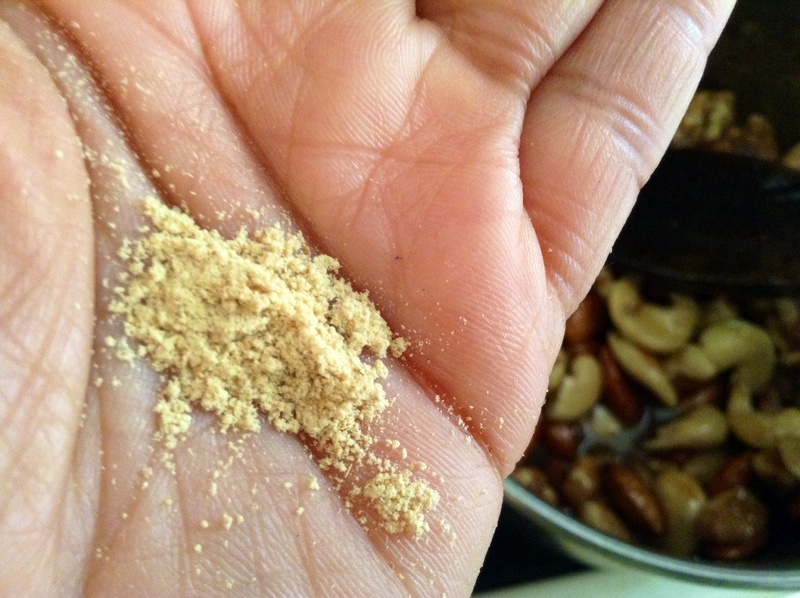 An age old fav traditionally made with Jaggery/gur nuts and sonth(dry ginger). 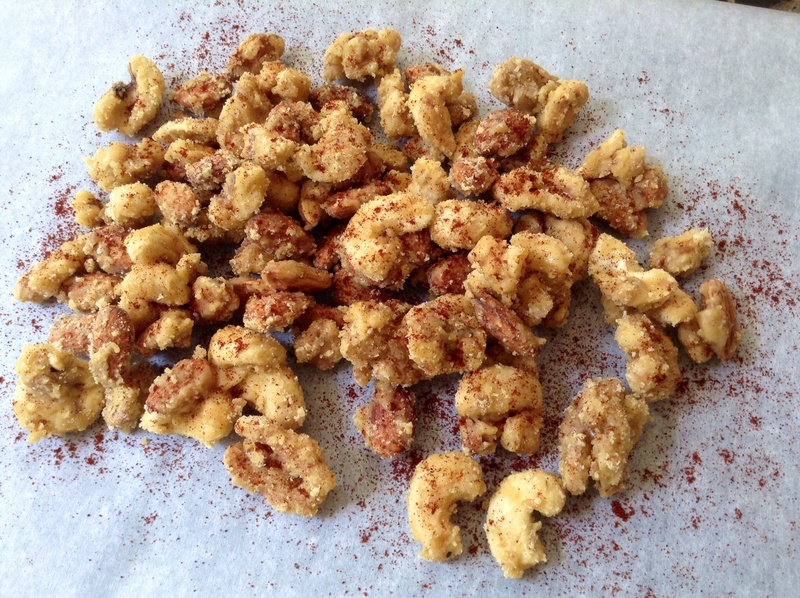 I decided to pick it up a notch and add my own special savory twist…and what a difference it made…WOW! 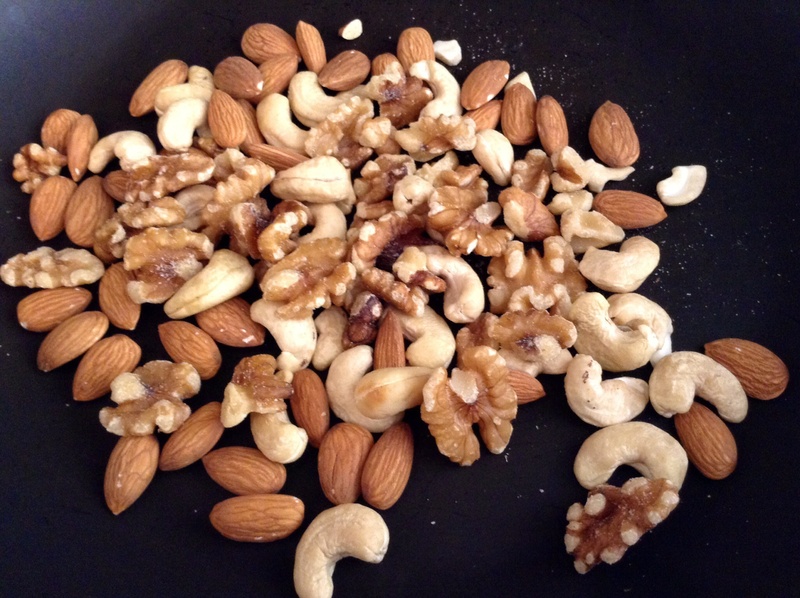 Lightly Roast nuts like walnuts, cashew nuts and almonds and keep aside. 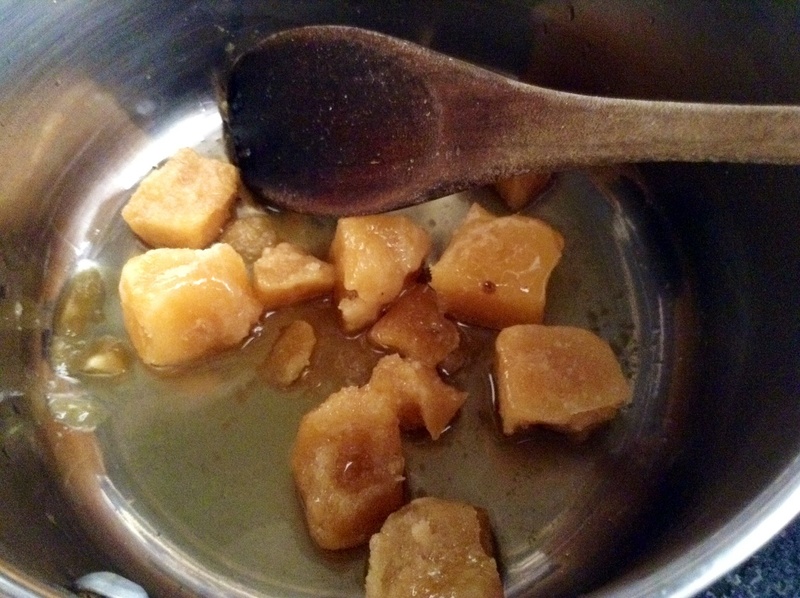 Heat jaggery/gur with a tbsp of water on medium flame and cook till thick and bubbly and reaches 2 string consistency. 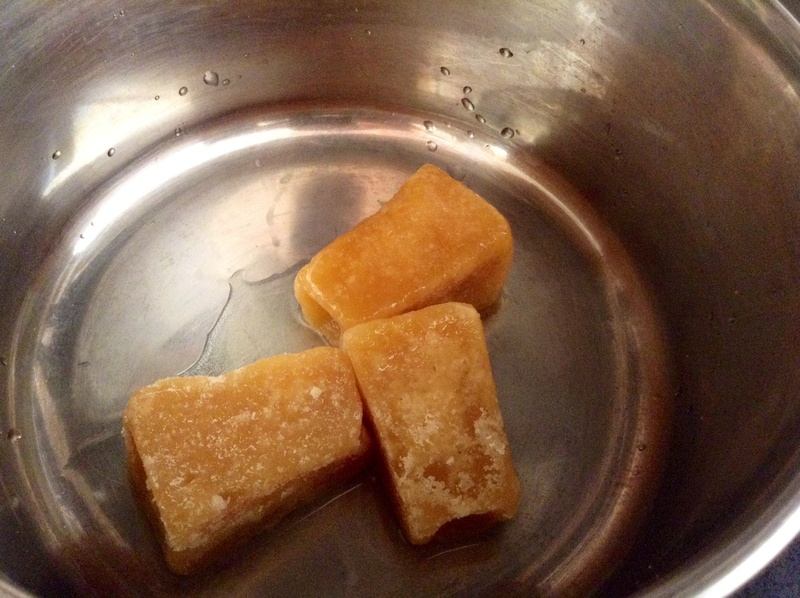 You can test consistency by dipping fingers in cold water and then into the gur chashni and pulling the fingers apart to test the string. 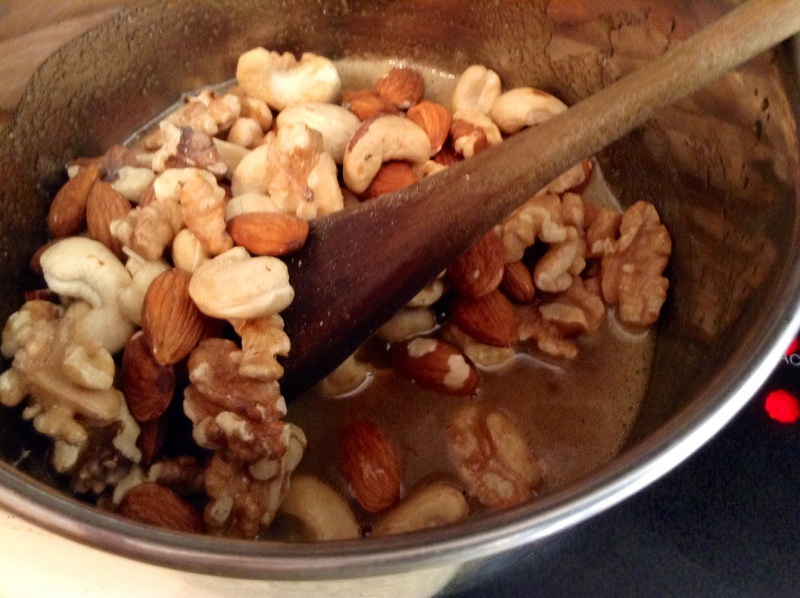 Add the roasted nuts and a hefty pinch of sonth (dry ginger) and stir. 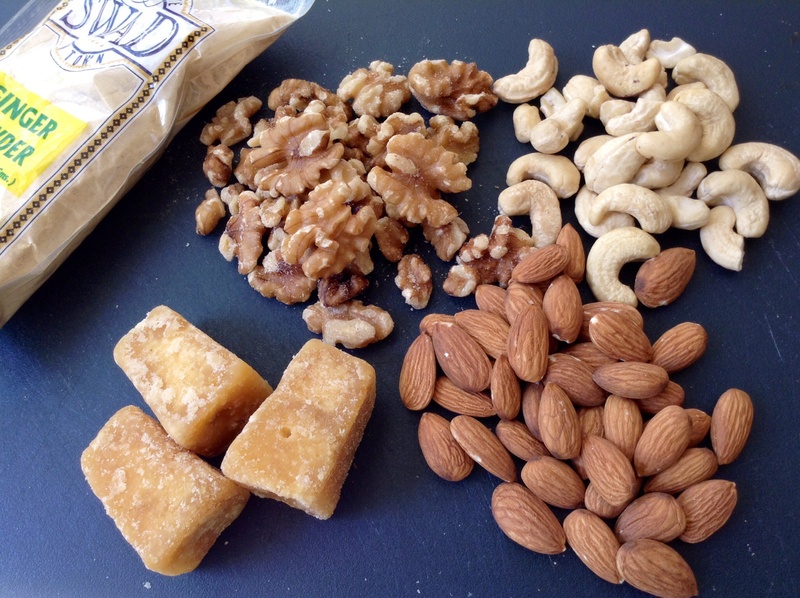 Cook till the gur coats the nuts and starts to dry. Transfer to greased thali or butter paper to cool. 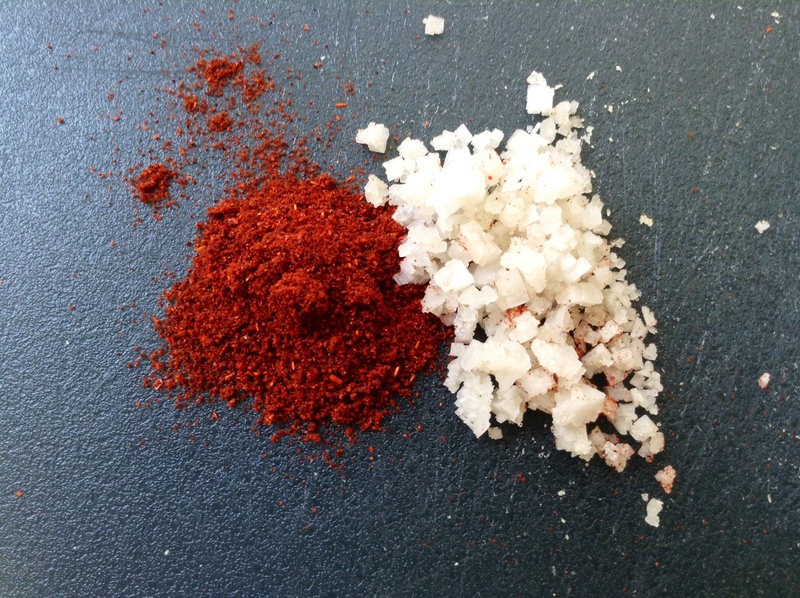 Sprinkle with some sea salt and paprika while still warm…you will love the way these simple additions make the flavors pop and take this simple dish to a whole new level!